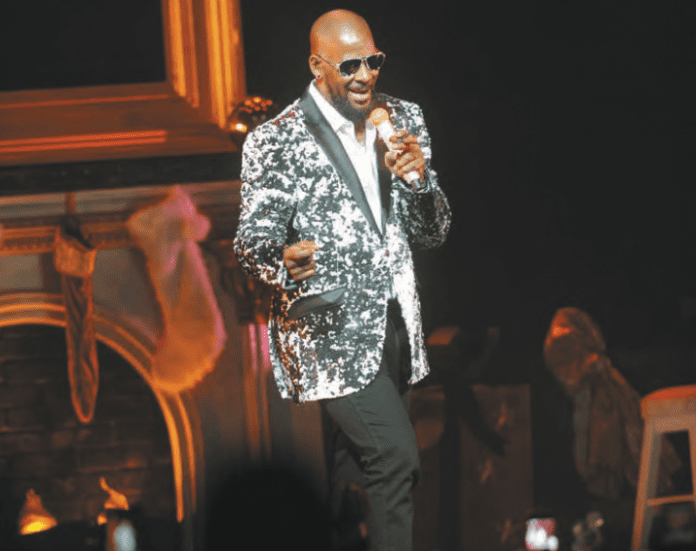 NASHVILLE, TN — The R. Kelly, “Pied Piper of R&B” visited Nashville last week for his Holiday Jam Concert at Bridgestone Arena. It was a night of laughter, love, and live music. The stage backdrop featured a faux fireplace, decorated with holiday stockings. The arena was packed with screaming fans elated to see the music icon and was eager to sing along to his popular radio hit singles. R. Kelly’s been named the most successful R&B artist of the last 25 years by Billboard and has sold 100 million records worldwide. Kelly has been nominated 25 times for a Grammy Award and only winning three for his most successful song to date “I Believe I Can Fly.” In addition to solo success, Kelly is known to have written and pro- duced songs for Maxwell, Michael Jackson and Ronald Isley. If you didn’t make it to the recent concert, his just released, first time holiday album will make a great stocking stuffer, after the holidays and over into the New Year.